DETROIT, Sep 26, 2017– The state’s largest businesses forecast stable to increasing economic activity for both Michigan and the U.S. according to the latest quarterly survey of Business Leaders for Michigan (BLM) members. 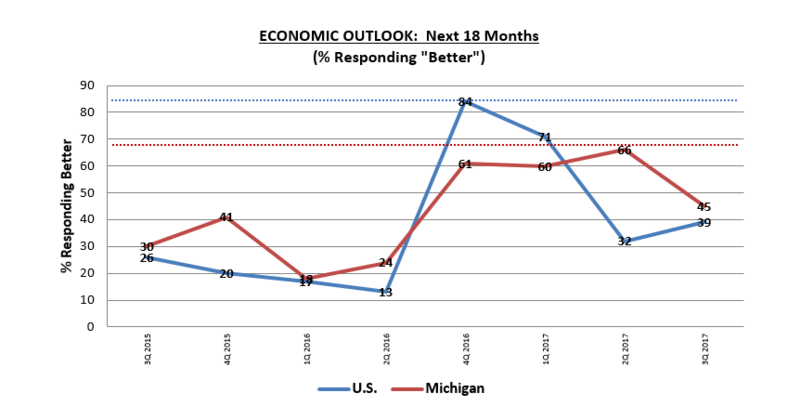 Next six months: Most business leaders are still optimistic about the growth of the Michigan economy over the next six months (58 percent) and are generally more optimistic about the growth of the U.S. economy (44 percent). The U.S. economic outlook improved over last quarter. Next 18 months: While down from last quarter, optimism about the Michigan economy over the long term continues to exceed expectations for the U.S., but margins are tightening. 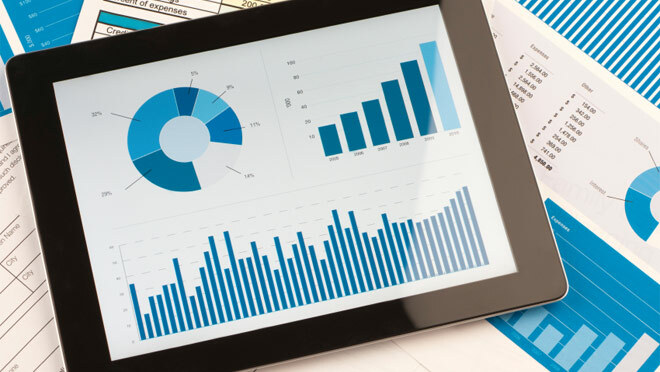 According to 45 percent of business leaders, Michigan’s economy will improve over the next 18 months, compared to 39 percent of business leaders who believe the U.S. economy will grow over the same time period. BLM members expect—by a margin of 50 percent—to increase capital investment in Michigan during the next six months, with the remaining 50 percent anticipating no change. Sixty-three percent say they anticipate increased employment while 28 percent say they see no changes on the horizon. Nine percent of employers forecast staffing reductions.